Lightning and power surges can permanently damage your audio and video electrical equipment. Even small surges can influence the performance of your electronics. 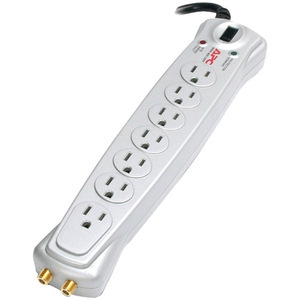 The Audio/Video Surge Protector 7 Outlets 120V will protect your valuable equipment from the threat of bad power.